Identification of a novel interspecific hybrid yeast from a metagenomic spontaneously inoculated beer sample using Hi-C.
Smukowski Heil C, Burton JN, Liachko I, Friedrich A, Hanson NA, Morris CL, Schacherer J, Shendure J, Thomas JH, Dunham MJ. Expression and Functional Characterization of Breast Cancer-Associated Cytochrome P450 4Z1 in Saccharomyces cerevisiae. McDonald MG, Ray S, Amorosi CJ, Sitko KA, Kowalski JP, Paco L, Nath A, Gallis B, Totah RA, Dunham MJ, Fowler DM, Rettie AE. Drug metabolism and disposition: the biological fate of chemicals. 2017; 45(12):1364-1371. American journal of human genetics. 2017; 101(3):315-325. Callens C, Coelho NC, Miller AW, Sananes MRD, Dunham MJ, Denoual M, Coudreuse D.
Chemostat Culture for Yeast Physiology and Experimental Evolution. Dunham MJ, Kerr EO, Miller AW, Payen C.
Cold Spring Harbor protocols. 2017; 2017(7):pdb.top077610. Chemostat Culture for Yeast Experimental Evolution. Cold Spring Harbor protocols. 2017; 2017(7):pdb.prot089011. Chemostat Culture for Yeast Physiology. Cold Spring Harbor protocols. 2017; 2017(7):pdb.prot089003. Assembly of a Mini-Chemostat Array. Miller AW, Kerr EO, Dunham MJ. Cold Spring Harbor protocols. 2017; 2017(7):pdb.prot088997. Loss of Heterozygosity Drives Adaptation in Hybrid Yeast. Smukowski Heil CS, DeSevo CG, Pai DA, Tucker CM, Hoang ML, Dunham MJ. Molecular biology and evolution. 2017; 34(7):1596-1612. Experimental Evolution Reveals Favored Adaptive Routes to Cell Aggregation in Yeast. Hope EA, Amorosi CJ, Miller AW, Dang K, Heil CS, Dunham MJ. The Dunham lab develops & applies genomic tools to study genome evolution & genetic variation in yeast & humans. We utilize the budding yeasts as a testbed for technology development a&d as an experimentally tractable system for evolutionary genetics & genomics. 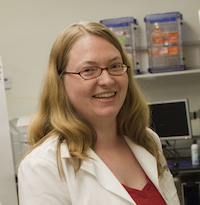 Current projects include understanding the costs & benefits of aneuploidy, building new instruments for continuous culture, functionally characterizing centromeres across species, evolving yeast in a high school teaching lab, & developing high throughput methods for measuring the impact of genetic variation in yeast & humans.